During summer, plenty of sport-related activities are hosted throughout the country. Many for them are for a very good cause. One good example is the “Run for Great Schools” organized by the Cupertino Educational Endowment Foundation. 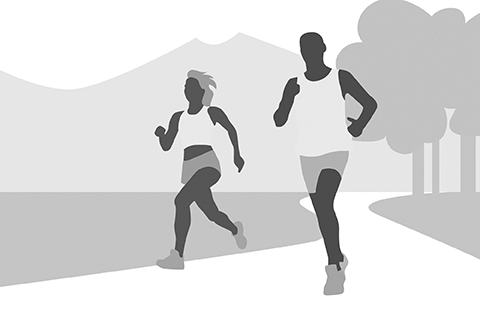 Taking place on the 29th of August, it is a 5K race that aims to raise money for the Cupertino Union School District. It will be open to residents of all ages and running levels in the district, and it will benefit more than 19,000 students. The starting point of the race is located behind Oaks Shopping Center and the finish line is at the Memorial Park. Families planning to participate at the event (or any other fun runs, for that matter) should heed these urgent care tips. A 5K race is by no means a walk in the park. That’s 5,000 meters (3.1 miles) worth of running, jogging, and brisk walking to get at the end. Runners will be physically exerting themselves quite vigorously, and beginners would definitely find this challenging. In such events, the main health concern is the injuries that the lower extremities might encounter. When one runs, the lower leg section, joints, knees, and muscles could get injured, but there are always ways to minimize these risks. One way is to make sure that runners, especially the younger ones, are physically fit to safely participate in the sports activity. Parents who plan on running with their kids should drop by at a Cupertino urgent care center for a physical examination to see if there are any health problems that could hinder a child’s athletic abilities. Children can also learn how to warm up properly on race day to avoid getting injured during the run. This is one case where the saying “Prevention is better than cure” rings true. However, even veteran athletes get injured from time to time despite all their preparation. 5K runners should realize the risks that could come from going the distance. For instance, ankle sprains could suddenly manifest as a runner tries to avoid tree branches, potholes, or curbs at the last second. This is an extremely painful injury that might require medical attention. With some rest, a sprained ankle will heal by itself, but if the pain is unbearable, one should always go see a professional at an urgent care clinic for fast and proper treatment.